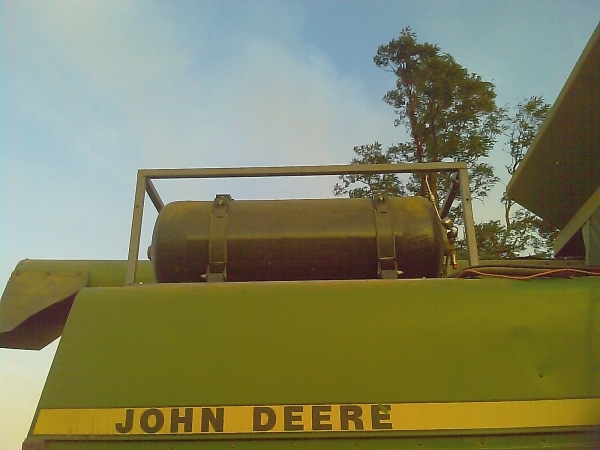 Deluca Fuel Products offers injection systems for use on agricultural applications such as combines and farm tractors. 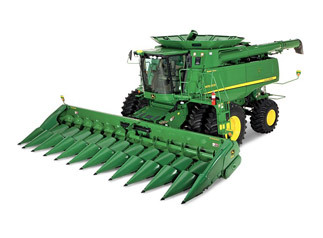 The systems can clean up smoky engines as well as add power to underpowered farm equipment. For more informations please Contact Us. 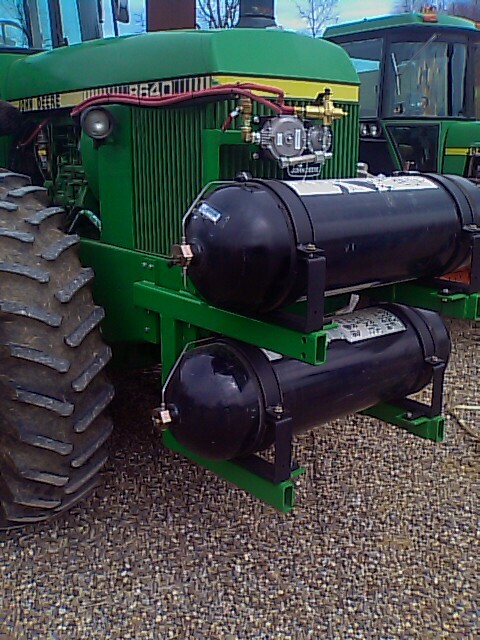 Tanks are easy to mount on a tractor and the injection system fits well on most applications. The system will save you as much as 40% on fuel cost while the application is working. For more information about how the system works take a look at How It Works or Contact Us. 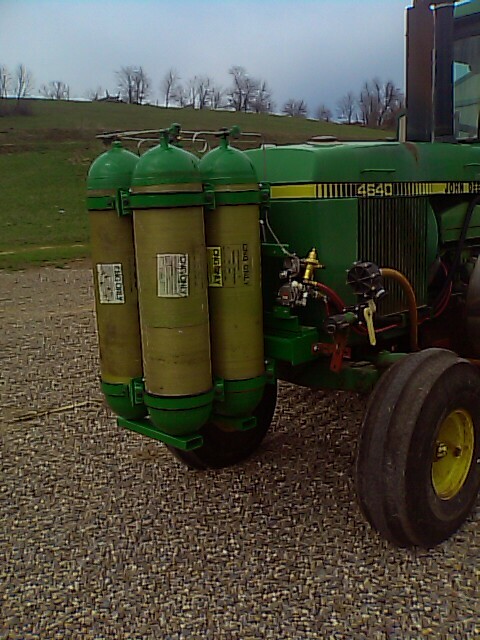 Here are a few photos of the system mounted on farm equipment. This system can run compressed gas for mobile operation, as well as low pressure pipeline gas when being used in stationary jobs, such as grinding feed or pumping manure.